​Batteries are an essential part of the modern car’s inner workings. The electrical systems keep our vehicles going, so when the battery goes flat, so does the car. If you find yourself on the road with a dead battery, call us. Our service can get you back on the go within fifty minutes, anywhere you are in Australia. 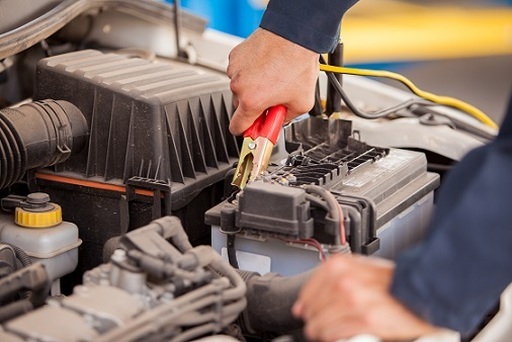 We can provide a jumpstart, but we also perform on-site battery replacement services! All of our batteries come with a manufacturer’s warranty that covers three years of parts and replacement. Our service is designed to match the needs of Australia, with its harsh climate and unique set of motoring needs. We also carry more batteries than the competition! We boast a wider variety of models and options, combined with professional installations anywhere, at any time. Our response team guarantees installation and replacement of batteries. We can do this anywhere, at any time. We cover all vehicles, trucks, boats, marine vehicles, and bikes. Depending on your location, we can even get to where you are in under an hour! Our batteries all pass rigorous standards for quality. We enter community programs that allow us to recycle 95% of them, allowing parts to be re-used and minimize impact on the environment. Let us collect your spent battery for recycling, free of charge. We also partner with other companies. We use specialist Start/Stop Batteries to suit current tech used in cars. Our products have high ratings from consumers and experts alike, so you can be sure you are getting the right device for the right vehicle. You no longer need to sign up for NRMA contact or AAA towing. We provide battery replacement and installation to anyone who calls. No more membership fees needed! You only need to pay for the cost of the service you use. Contact the Roadside Assistance Perth experts today…us.